Music TV Channel / The Edge is a youth-oriented New Zealand radio network, music television channel and entertainment website owned and operated by MediaWorks New Zealand. It was founded in Hamilton in 1994 and is now based in Auckland; it broadcasts nationwide over multiple channels. 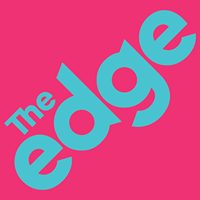 Research International audience surveys suggest The Edge has approximately 424,000 listeners across all markets that are surveyed and the station makes up 7.0% of the New Zealand radio market. The Edge TV is the brand's TV channel, and was launched on 27 June 2014 as a replacement of C4. It airs music videos, specialist music and pop culture shows and original video content filmed with The Edge radio hosts. It is available free-to-air on Kordia digital terrestrial and Sky satellite services.